Boston Bedfordview has reason to celebrate Bookkeeper student, Nadia Brink Peche (35) has made it to the Top 10 in the recent ICB Exams. An obviously thrilled Nadia commented that she considered several colleges but went with Boston City Campus because she felt secure and confident due to of the support and assistance from the Boston IMS and staff. 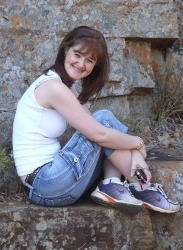 Nadia enrolled for the National Certificate of Junior Bookkeeping course in April 2012 and while she is still awaiting the results for her last subject, is confident that she has done as well as in her other exams – achieving above 90% for all of them. ‘I would like to thank my employer and husband for supporting me in my studies. It just goes to show anything is possible with the right team on your side’ Says Nadia. Boston City Campus & Business College’s accounting courses are ideally suited to helping you achieve one of these sought after qualifications, which will undoubtedly open doors to the most prestigious positions in the world of business. Boston offers the following qualifications: National Certificate (Bookkeeping Certified Jnr Bookkeeper); Further Education & Training Certificate (Bookkeeping Certified Snr Bookkeeper); National Diploma: Technical Financial Accounting (Certified Technical Financial Accountant) and National Diploma: Financial Accounting (Certified Financial Accountant). These courses form part of the Accounting Certification Programme and are all accredited Institute of Certified Bookkeepers (ICB) courses. According to the ICB, all the above qualifications have been developed in line with South African Qualification requirements with outcomes being based on international accounting standards thus ensuring that they are relevant to the South African market and business needs. ICB courses are also recognised and qualify for credits/exemptions from international accounting bodies including the Chartered Institute of Management Accountants (CIMA) and Association of Chartered Certified Accountants (ACCA).